Sometimes it’s not a helping hand we need, but a helping paw. Pet Valu (www.PetValu.com) is proud to support the honorable services provided by New York based, America’s VetDogs (www.VetDogs.org), a non-profit organization devoted to providing assistance dogs and training to disabled veterans of all eras at no charge to them. These dogs are trained to assist in a variety of different situations ranging from guide dogs for the blind and visually impaired, wheelchair dogs, hearing dogs, and service dogs to work with veterans with physical limitations. During the month of March, Pet Valu will be raising money for America’s VetDogs by selling 2 oz. hand sanitizer bottles for a donation of $3 or more. 100% of the proceeds will be donated to America’s VetDogs to support their mission of helping those who have served our country live with dignity and independence. The hand sanitizers come with a carabiner to hook onto a leash and are a great way to clean your hands after you pick up after your furry friend. Pet Valu’s goal is to raise over $25,000 for the America’s VetDogs program. 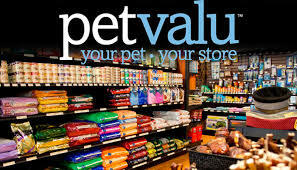 For a Pet Valu near to you, click here. 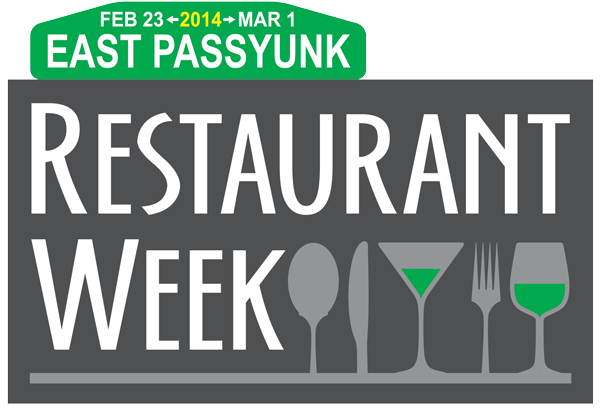 Experience one of Philadelphia’s fastest growing food scenes and neighborhoods, during East Passyunk Restaurant Week. Dine on some of the greatest dishes this trendy South Philly neighborhood has to offer from February 23 to March 1. Feast on a 3-course prix fixe lunch and/or dinner at 24 award-winning restaurants for $15, $25 or $35. 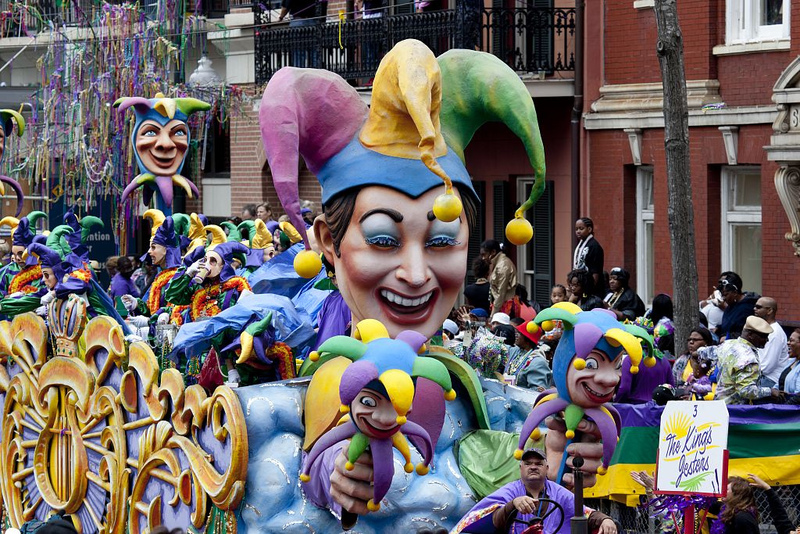 Some of the restaurants include: Adobe Café, Stogie Joe’s, Noord, Le Virtu, Will BYOB, and Laurel, the establishment of Bravo’s Top Chef, Nicholas Elmi. For more information on each restaurant’s days and menus, click on their names above or visit http://www.eastpassyunkrestaurantweek.com/. Winter Snow Brings The Flower Show! Are the winter blues getting you down? Have no fear, the Flower Show is here! Step out of harsh cold and into the fragrant and colorful world of the 185th PHS Philadelphia Flower Show. 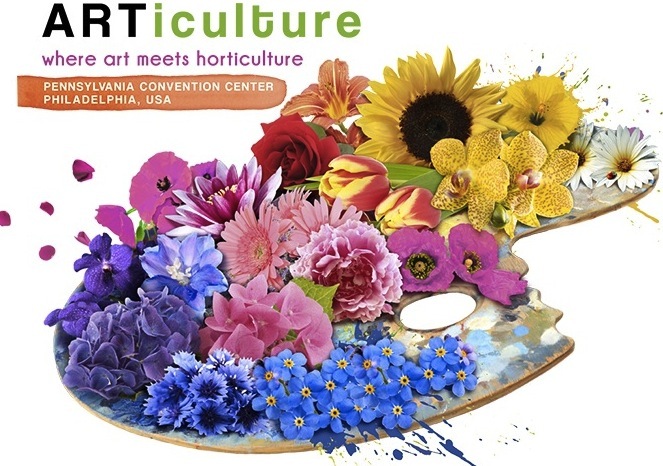 From March 1-9, the Pennsylvania Convention Center will be transformed into the world’s largest indoor horticultural exhibition. This year will be especially unique, as the show is partnering with some of the best art museums in the nation to honor this year’s theme, “ARTiculture”. Carefully crafted landscapes and floral arrangements will be on display to honor our most beloved artists such as Monet, Picasso, and Dali. Tickets are on sale now and can be purchases here. And after you’re done feasting your eyes on the gorgeous floral arrangements, feast on a delicious meal from the Reading Terminal Market. This lively market is a staple of Philadelphia, with stalls full unique smells and tastes. Or if you’re looking from something a bit off the beaten path, Vietnam Restaurant is a hidden gem right around the corner and has been serving up authentic Vietnamese cuisine for 30 years. 1. Clean your pet’s teeth daily. Devoting just a few minutes of teeth cleaning can increase overall health. Check out the Tropiclean Oral Kit Pet Valu. The Oral Kit consists of a standard toothbrush, finger toothbrush, tooth paste, TropicClean Dental Foam and DentaTreat dental spray that will provide your pet with the full dental cleaning he or she needs. 2. Use toys for healthy teeth. Pet Valu offers a variety of dental toys including: Yuppie Puppy Marrow Ring, Nylabone Dental Chew Pro Action, and Pet Stages Cat Dental Chews. This is a healthy and effective way to entertain your pet. 3. Get your pet chewing! Studies show that frequent chewing reduces plaque build-up in an animal’s mouth. Over at Pet Valu, you can find plenty of dental treats useful for maintaing your pet’s oral health. Interested in more information on pet dental care? Every member of the Pet Valu family is certified in pet nutrition and would be happy to offer expert advice on how to properly care for your pet’s dental hygiene. Click here to find the Pet Valu closest to you! Here at Breslow Partners, we love keeping our readers up to date with the latest and greatest local restaurants to try. While we could recommend a place to spend this Valentine’s Day with your significant other, the recent harsh winter weather has given us a good reason to stay in this year. Seafood Shipping from Phillips Seafood is here to save you from the cold this Valentine’s Day. And what is Seafood Shipping, you ask? Only the fastest and easiest way to enjoy a fresh, homemade seafood dinner for two. Your Seafood Shipping package does all the work for you! The Clam Bake for Two is $155.00 and includes two 1 ½ pound lobsters, one pound of mussels, one pound of shrimp, one dozen clams, two ears of corn, baby red potatoes, and a can of Phillips Seafood Seasoning. Then just follow the simple, step by step instructions on how to prepare your seafood feast. 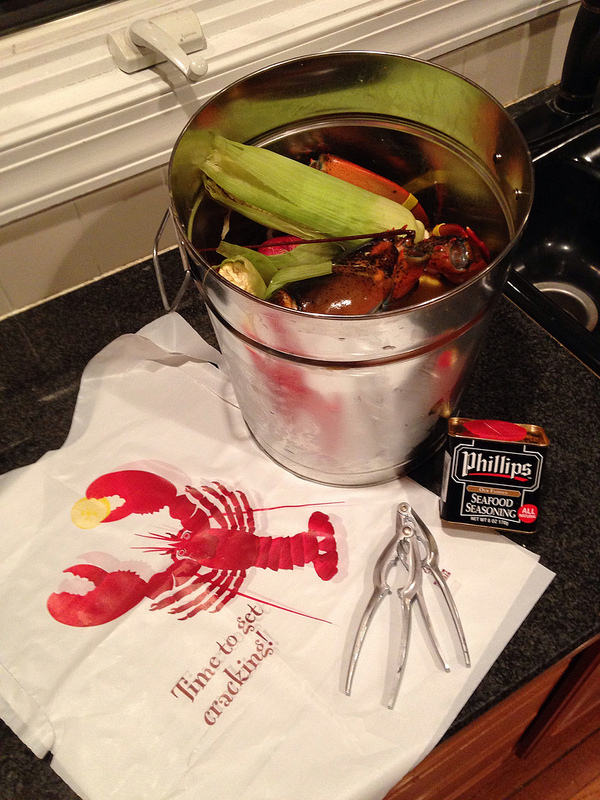 They even send a pot to cook it in, claw crackers and the signature lobster bibs. Add a nice bottle of wine, Food & Wine recommends a light white wine goes best with shellfish, some candles and you have yourself a romantic and homemade meal to woo your sweetheart. Rev up those engines, here we go! 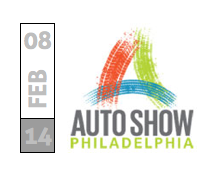 Buckle up those seatbelts, folks; the Philadelphia Auto Show is back. Recognized as one of the top shows in the country, the Philadelphia Auto Show will feature more than 700 vehicles of classic, luxury, and exotic models. The event will take place Saturday, February 8 thru Sunday, February 16 at the Pennsylvania Convention Center. Buy your tickets as soon as possible; this is an event you do not want to miss! Tickets can be purchased here or at the Pennsylvania Convention Center on show day. For each auto show ticket sold, $2 will be donated to the Auto Dealers CARing for Kids Foundation.